Students often ask where they can find video recordings online so they can practice at home or when traveling. 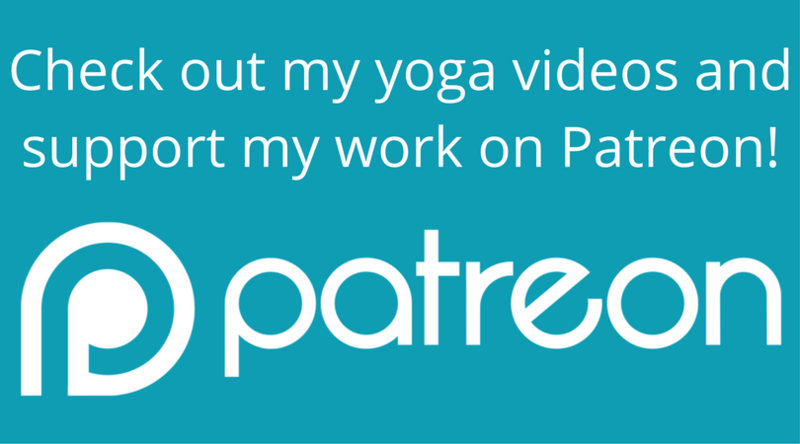 I keep a Patreon page where you can access free videos and audio recordings of yoga classes. Patreon allows creators (like me!) to share the videos and other things I create with an online audience, and it gives fans of my work the opportunity to support what I do so I can do more of it. The Yoga Videos will always be free, so please share with friends and family. I hope you find them useful! If you choose to support my work, you'll get extra rewards, like access to download audio versions of the practice, tutorials, chanting recordings, and whatever else I think you'll enjoy. In addition to my Patreon page, here is a collection of free yoga videos that I recommend to beginning students. They are safe for most levels of fitness, although I strongly encourage you to work with an experienced yoga teacher in person first. Especially if you are wanting your yoga practice to help, or at least not exacerbate, a previous injury, it is important to work with somebody who can see you and interact with you. Please don't assume that just because it's yoga, it can't hurt! I hope these resources help you access yoga wherever you are! Of course, I always recommend working with a teacher to develop your practice when you can. I work with a mentor who guides me in a personal practice, and I have found that yoga is so much more fruitful when it's designed for me by somebody with experience. I encourage you to attend a yoga class or consider private lessons to get more personalized feedback. The most important thing is that your yoga practice supports you and creates space for connecting with the inner, essential you. Best wishes to you on your yoga journey!